I received my Little Black Bag today and LOVE it! Little Black Bag is part subscription box, part deal site. I never know how to describe it because it is that unique. When you sign up, you pay $10 a month. That $10 is applied to your purchase, so it is always good to start a bag with at least that $10 (I have an old subscription that allows me to completely "skip a month" but that is no longer available to new subscribers). and you choose to "Open a bag" with an item. I usually find one MUST HAVE item and open with that item. 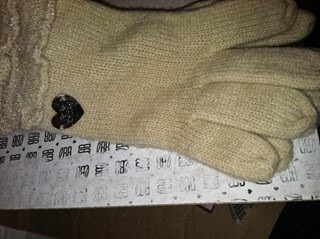 My "must have" item this month was a pair of Betsey Johnson gloves. I paid $25.90 to open my bag with the gloves. At the time, they had a promotion to receive 4 hair ties with your purchase. I also had 1 credit for a $25 item from a previous purchase that had gone awry. I obviously did some trading. I traded the $25 jewelry item that I received down to receive the LaVanila. I also traded my hair ties and one more piece up for the earrings. Total, without my credit item, my value was: $53.60 and I only paid $25.90. The best thing about LittleBlackBag is you are in control of your items-- they are not a surprise, and you choose what you open with. You then have 1 week to trade everything in your bag in order to get the items that are perfect for you! 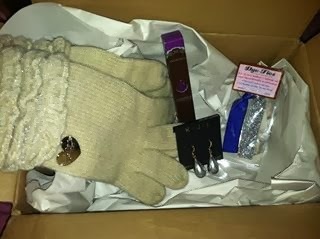 Check them out at: http://www.littleblackbag.com The best part? You get 25% off your first order!